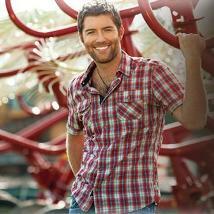 Riverwind Casino in Norman presents Josh Turner in concert. As a family man, a philanthropist, a devoted Christian, and a passionate sports fan, you might say Josh Turner’s commitments run as deep as his voice. Of course, he’s also a double-platinum-selling singer, songwriter and disciple of traditional country music, a mentor to up-and-coming artists —and one of the youngest members of the Grand Ole Opry. Visit www.riverwindcasino.com for details and tickets.